On December 8th, 2017, the American Planning Association, Massachusetts Chapter (APA-MA) and the Massachusetts Association of Planning Directors (MAPD) celebrated the holiday season and honored Harriman and A Blueprint for Brockton with the Comprehensive Planning Award during the Annual Awards and Holiday Luncheon at the Boston Marriott in Cambridge. 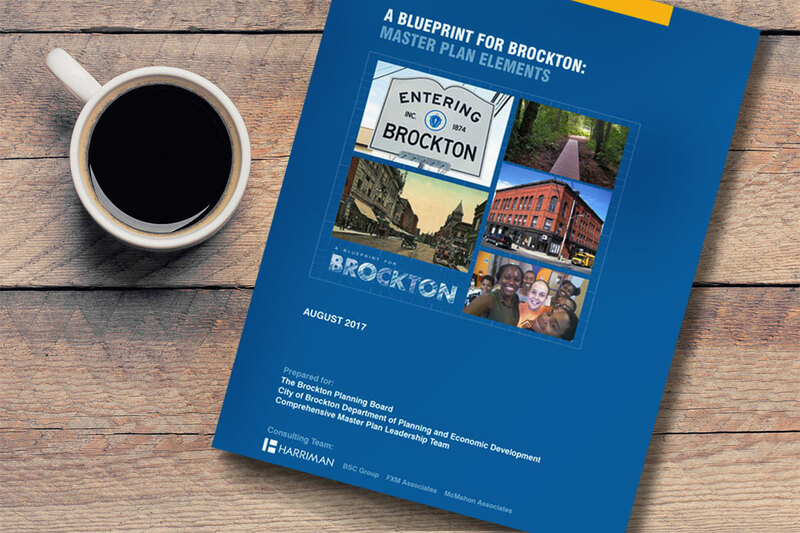 Harriman prepared this award-winning master plan, A Blueprint for Brockton, in support of the City Planner’s initiatives to bring new focus to key opportunities. The plan identifies specific locations and actions to unlock economic development, transit-oriented development (TOD), and entrepreneurial growth. The City has a solid fabric of middle-class neighborhoods and open space amenities. It has superb transit and highway connections and a high-quality housing stock which serves a stable population of residents. The plan seeks to diversify the housing opportunities to promote aging-in-place, and opening new housing choices to attract middle class residents. The plan provides clear action steps to reframe and redevelop former industrial areas and available sites, adapting them to contemporary trends in living, working, shopping and recreation. A Blueprint for Brockton benefitted from the extensive community engagement and information program that Harriman provided, including “listening sessions” in neighborhoods, on-line surveys, workshops, a steering committee and on-line links and resources.